Body contouring involves removing excess skin and fat from different parts of a patient’s body due to major weight loss or physical changes. Removing the excess skin provides a more aesthetically pleasing look and restores self-confidence. Body contouring refers to a range of procedures that includes necklifts, tummy tucks, thigh lifts, arm lifts and liposuction. The aim is to remove any excess skin and fat while also improving the shape of the support tissue. These procedures are often performed in tandem to achieve a overall improvement of the figure and form. 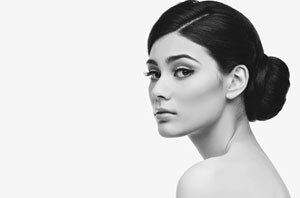 A necklift is used to treat any excess skin that’s underneath the chin. The skin is tightened around the neck to produce a better jawline and improve the overall appearance of the face. A tummy tuck removes the excess fat and skin from around the abdominal area to create a much smoother and firmer stomach. A thigh lift provides better contours around the thigh by removing any excess skin and fat. Removes any hanging skin from the underarm and reshapes the skin from the armpit to the elbow to provide a better appearance. Liposuction is used to remove excess fat from a wide variety of areas all over the body. It’s suitable for patients who prefer not have a full operation. You can discuss any of the procedures mentioned about with Dr Constantine by booking a consultation. Simply call (214) 739-5760.